Editor’s note: This is the full version of an article published in part in the January 2019 issue of Today publication. As the print publication was going to press, editors learned of the passing of ’68 class member, Donald “Don” Good on Jan. 9. Read his obituary here. Fifty years after graduating from EMHS, the class of ‘68 gathered over homecoming weekend last October and pondered the passage of time with the help of Karla Showalter Souder’s ‘68 refrigerator magnets. Before we get to that wisdom, some class notes. 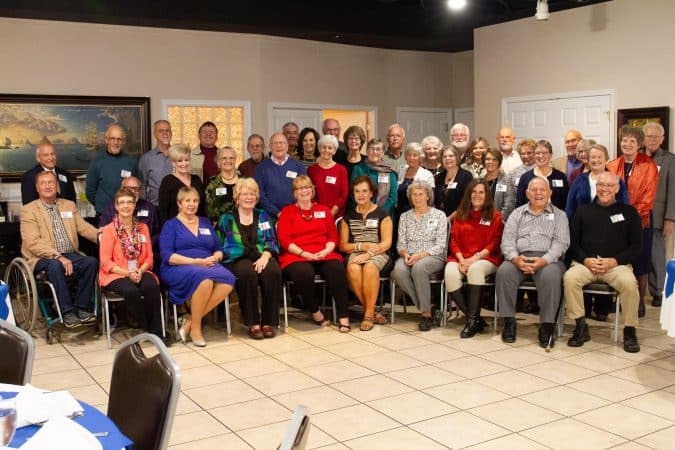 The class had 72 members; almost 40 attended the reunion. Six class members have passed on. Well over half of the class hailed from across Virginia. Eight came from New York, four from Ohio, and a handful from Pennsylvania, Michigan, Florida, Iowa, Indiana, Arizona, and South Korea. Most of the students who came from a distance stayed in the dorm, which created a dorm/day student dichotomy. Dorm students knew each other well, ate meals together, and hung together at school. Day students occasionally had a hard time breaking in and fitting in. Nelson Eberly ‘68 was one of three students from Pigeon, Michigan. His parents made considerable sacrifice to allow him to attend for his senior year. Nelson sang in the Touring Choir with Marvin Miller, traveling to Iowa for the Mennonite choir festival. A few years after graduating from EMHS, Nelson married this writer’s sister. Today, he lives in Hartville, Ohio, has three children and four grandchildren. Jeanne Hartman ‘68 of Harrisonburg, was one of about 10 in the class to attend Park School in 7th grade, a nearby public school. Jeanne and the Park School students enrolled in EMHS for the first semester of their 8th grade year, then helped carry books from the EMC administration building to the new EMHS campus at their semester break. EMHS bought the Park School building in 1968 and turned it into an industrial arts building. Jeanne remembers being suspended for a day and a half for cutting her hair. She went on to attend business college, buying her own business at age 23. She currently lives in Broadway, Va.
Two teachers crisscrossed their careers for one year in 1967-68: Jay B. Landis and James Rush. 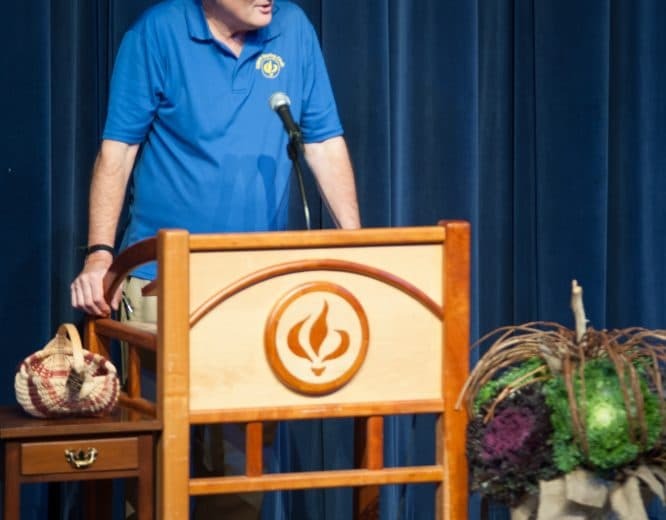 Jay B. Landis taught English and speech at EMHS for 12 years, serving as senior class sponsor for the class of ‘68 and directing the senior class play, “The Thread That Runs So True.” Jay B. also helped launch the annual senior class service trip to Harman, West Virginia. In 1967, James Rush launched a 40-year career teaching history and social studies at the school. In his first year, he began requiring students to make a family tree, a practice that continues today. 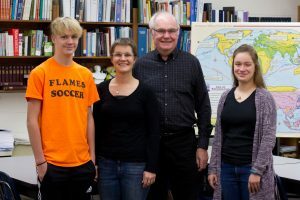 Leo Heatwole ’68, daughter Carmen Miller ’92, and grandchildren Clint Miller (left) ’22 and Ginny Miller (right) ’20 have studied in the same high school classroom. Photo by Andrew Gascho. Leo Heatwole ‘68 grew up on a farm in the Harrisonburg area and lived at home during five years at EMHS, helping with the daily chores. He married classmate, Carol Ann Goshow ‘68, the only couple to marry from their class. Their daughters Carmen and Christy graduated from EMHS in ‘92 and ‘95. Carol passed away from cancer in 2009. Heatwole nearly got kicked out of National Honor Society because of his grades; an EMHS counselor advised him not to go to college. This galvanized him to graduate from college with a business major. Heatwole recently retired from a successful career as a banker and a financial advisor in the Harrisonburg area. Karla Showalter Souder ‘68 came from Broadway, Virginia. Though she lived just nine miles from campus, her grandparents established a fund to help pay for their grandchildren to live in the dorm. Karla’s senior picture shows a covering perched neatly on top of carefully combed hair; on her snowy senior trip to Washington, D.C., she and all the girls wore bonnets. Two years later, administrators relaxed the requirement that girls wear coverings to school. Karla, a retired mental health professional, admitted that she felt insecure and anxious transferring in as a junior at EMHS, struggling to fit in. Karla decided to be true to her own values, however, and by the end of her senior year, felt she had made many friends. The class had many shared experiences. 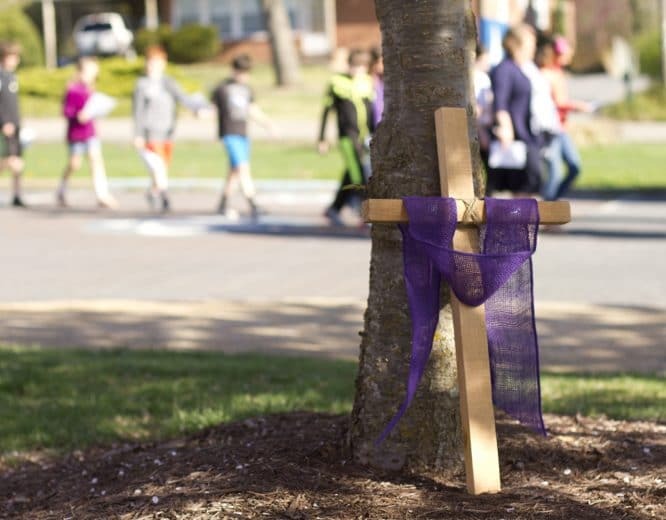 They identified with Karla’s comments, as all had experienced pain and trauma, and lost parents, grandparents, family members, and friends to illness, accidents, or suicide.